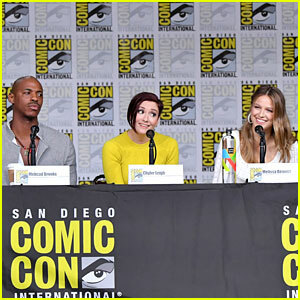 David Harewood Photos, News, and Videos | Just Jared Jr.
Mehcad Brooks, Chyler Leigh, and Melissa Benoist speak on stage at 2018 Comic-Con! 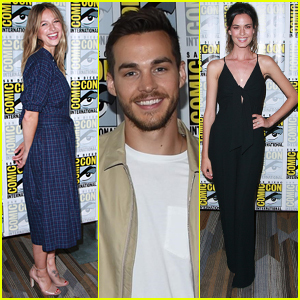 The Supergirl co-stars addressed the crowd at the Supergirl Special Video Presentation and Q&A at the event held at San Diego Convention Center on Saturday (July 21) in San Diego, Calif. They were joined by their other co-stars Katie McGrath, David Harewood, and Jesse Rath. 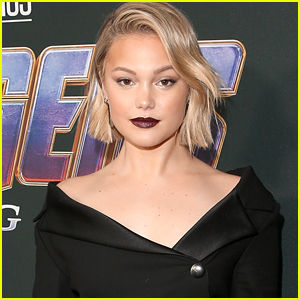 At the event, it was announced that Supergirl will be adding three new cast members – April Parker Jones as series regular Colonel Haley, David Ajala in the recurring role of Manchester Black, and transgender activist and actress Nicole Maines, marking the first transgender superhero on TV. She made a surprise appearance during the panel! 'Supergirl' Will Face Off with Two New Villains in Season 3! Melissa Benoist is all smiles as she arrives at the 2017 Comic-Con to promote Supergirl on Saturday (July 22) in San Diego, Calif. 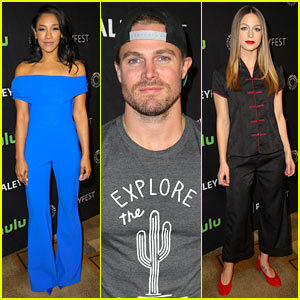 The 28-year-old actress and the cast � including Odette Annable, Mehcad Brooks, Jeremy Jordan, David Harewood, Chris Wood, and Katie McGrath � attended the event to share the latest scoop on the upcoming third season of their show. It was announced that same day that four new characters will be joining the upcoming season of Supergirl. Adrian Pasdar and Yael Grobglas have both been cast as villains while Carl Lumbly will be playing J’onn J’onnz’s father from Mars. Also joining the show is Emma Tremblay who will be playing a teen fascinated by Supergirl. Supergirl returns for season 3 on Monday, October 9 on The CW. Melissa Benoist & Jeremy Jordan Bring New 'Supergirl' Trailer to TCA - Watch Now! Melissa Benoist and Jeremy Jordan take the stage for the Supergirl panel discussion held during the CBS portion of the 2015 Summer TCA Tour at The Beverly Hilton Hotel on Monday (August 10) in Beverly Hills, Calif. 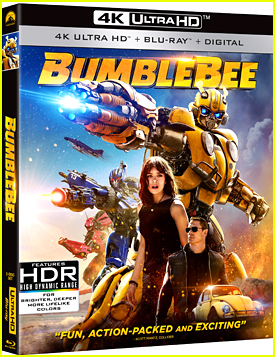 The duo was joined by their co-stars Calista Flockhart, Mehcad Brooks, David Harewood, and Chyler Leigh. Executive producers Greg Berlanti, Andrew Kreisberg, and Sarah Schechter were also in attendance. During the panel, they debuted a brand new trailer, which you can watch below!